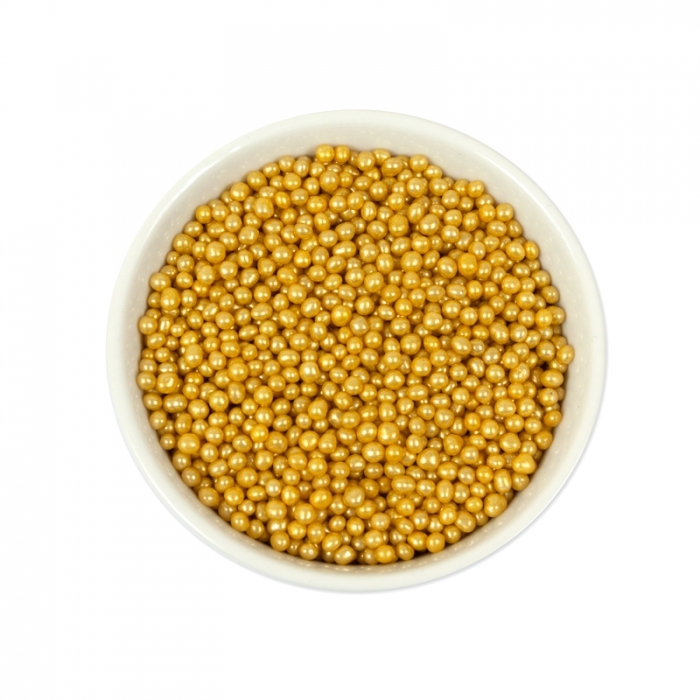 Edible gold pearls, dragees, cachous are an elegant addition to your decorated cakes, cupcakes, wedding cakes or fancy desserts. They are a hard candy and all colours have an irridescent pearly sheen. Sold in boxes of 1KG - Diameter 3mm.